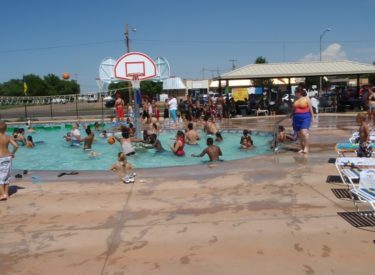 A 2 year old child from Guymon Oklahoma drowned Sunday evening at Adventure Bay Family Water Park. The 2 year old boy,Travani Ramirez, was found in 3 feet of water, at closing time, in the basketball goal area. No family members were in the immediate area of the accident. The child was unresponsive and CPR was performed by the Lifeguards, however that proved to be unsuccessful. Emergency Personnel arrived on the scene, continued the CPR and transported the child to Southwest Medical Center where he was pronounced dead at 7:30pm. The accident is still under investigation.